One of the most painful realities of life with a traumatic injury such as a brain or spinal cord injury is that money really does make a difference in the recovery process. People with more money have the option to fund care that is not covered by insurance, to pursue alternative remedies, and to travel the globe searching for research trials. This doesn't mean you have to be well-off to pay for your care. Insurance is required to cover the care your doctor prescribes, and your insurer cannot turn you away because of a pre-existing condition. That means that you can purchase insurance for the first time even with a brain or spinal cord injury. But what else can you do to manage your expenses, and to cover the many costs insurance won't cover? Try these simple money management tips. Many injury survivors are hesitant to talk to a financial advisor because they think doing so will only make them feel worse about their financial position. But financial planners are there to help you manage even the most dire money issues. Ask your treatment coordinator or lawyer for a referral to a financial planner who works with spinal cord or brain injury survivors. You might be surprised by how much more you can do with the little money you have. Lawyers are so frequently derided, and their clients so frequently treated as little more than money grubbers, that many people are hesitant to talk to a lawyer after they have been injured. But if your injuries are the fault of someone else, they can and should have to pay for those injuries. Businesses often have large insurance policies to cover liability if a customer is injured. Auto insurance and homeowners insurance may also be able to cover a portion of your claim. The only way to know for sure whether you have a case is to talk to a lawyer, so don't delay seeking legal counsel. 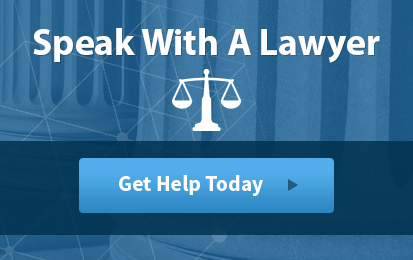 Do you think your case may require the help of a lawyer? 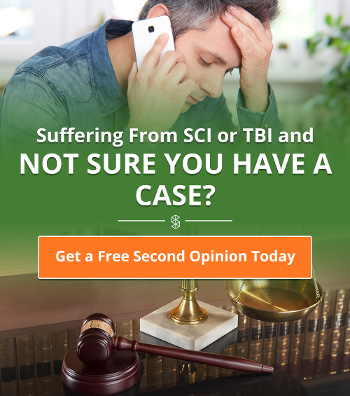 Click here to speak with a legal expert on brain and spinal cord injury cases. Takeout and restaurant dining can cost you $1,000 or more per month, even if you only eat out three times a week. Automatic membership fees for gyms and other services can cost you several hundred dollars a month. Household supplies are almost always cheaper when purchased online. You'll save time and gasoline, too, so consider signing up for a service such as Amazon's Subscribe and Save. If you're not staying in your home because you have to travel to a rehabilitation facility, consider turning off your utilities or renting out your home. Dozens of organizations, both small and large, are dedicated to helping people survive and thrive in the face of catastrophic injuries. Look into grants that can help you make specific purchases, and scholarships that can help prepare you for a career that works with your injury. You don't have to accept the first—or tenth—treatment protocol your doctor suggests. Ask about side effects, risks, and benefits, then weigh whether a particular treatment is wroth the cost. A medication that “everyone” takes might not be worth it to you if it produces only minimal results. Download our free ebook with important questions to ask your doctor about your injury. Clinical trials are free to participants, offering access to cutting-edge treatments without the cutting-edge price. Clinical trials offer no guarantees, and you may even suffer some side effects. However, before a drug can be tested on humans, its manufacturers must take steps to minimize risk and increase safety, so a clinical trial may give you access to life-altering or life-saving research. Loading and transportation. If you can stay with your sister, then you won't have to shell out for a hotel room. Childcare. Your children may feel more comfortable staying with someone they know, and you can save a lot of money if you don't have to pay for baby-sitters or daycare. Caring for your loved one. It's not reasonable to expect a friend or family member to provide intensive or full-time care. But if you need a break a few times a week, ask a loved one if they'd be willing to help out with care giving so you can protect your own mental health. Entertainment. Boredom makes people with catastrophic injuries miserable, and traumatic injuries often mean months of being isolated in a home or hospital. Ask loved ones to come visit and to just sit and talk. No matter how much you trust your doctor or rehabilitation facility, you need to be prepared to question everything you're told. Research consistently shows that hospitals often charge for services not received, or overcharge for the services you do receive. Cut back on expenses—particularly those not covered by insurance—by carefully reviewing each and every bill. If you are billed for a treatment you did not receive, ask for an explanation. You may also be able to save money by asking for generic versions of common medications, or by shopping around at local pharmacies. Pharmacies with loyalty programs may offer substantial discounts that can quickly add up.